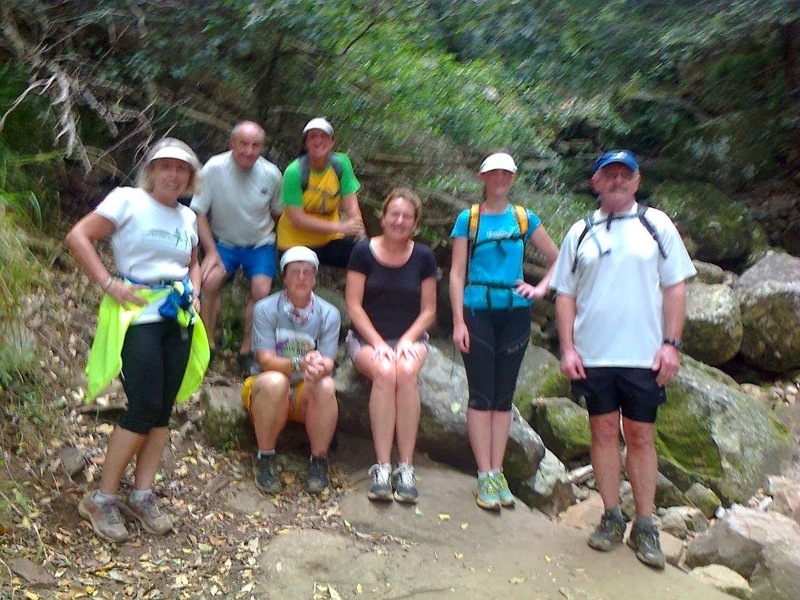 A great final run of the year along the mountain trails in and above the Cecilia forest. 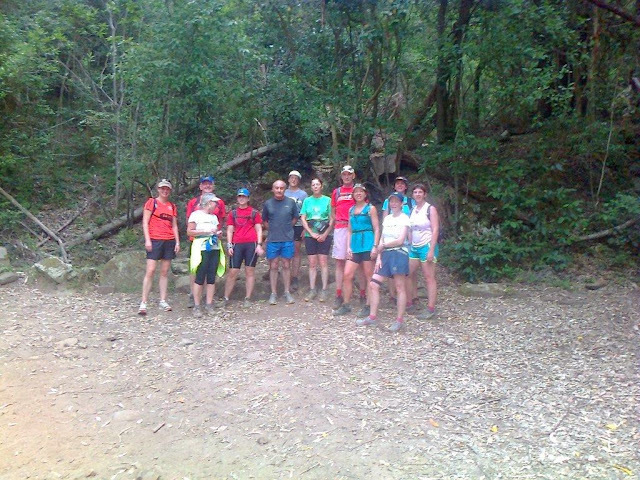 38 turning out for an more or less uneventful run barring a few scrapped knees and elbows. As usual impeccably managed by Piero. During this last year we ran on 44 occasions covering a distance of 558.4 kms. 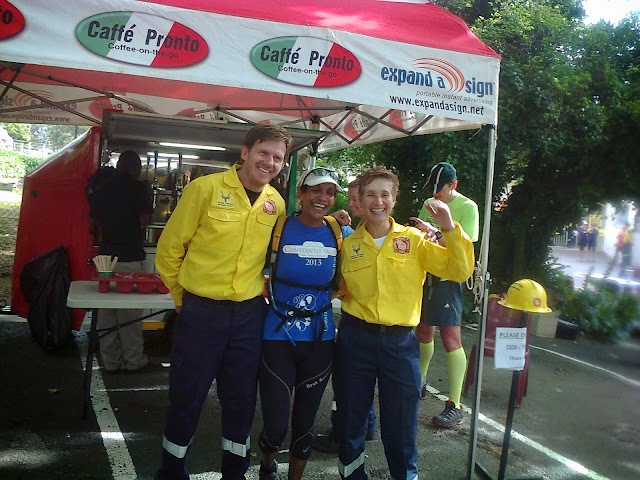 Altogether we had a total turn out of 940 runners. 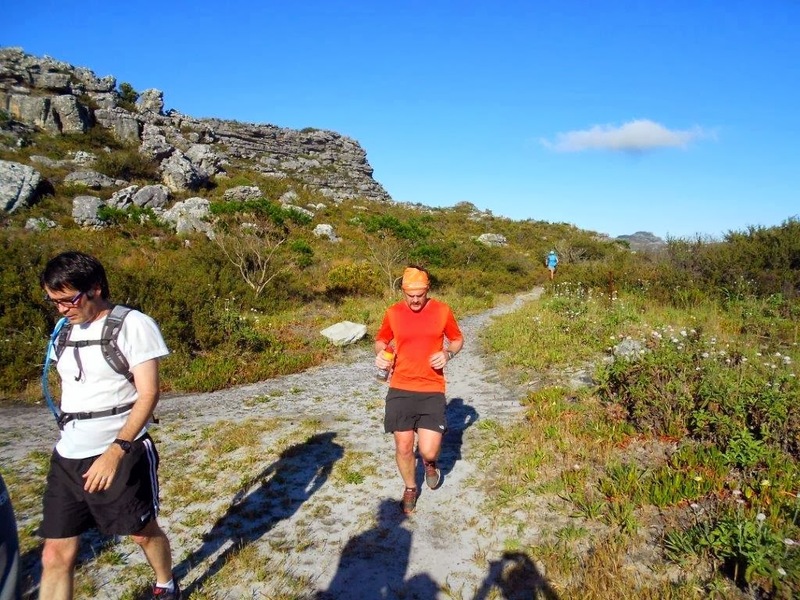 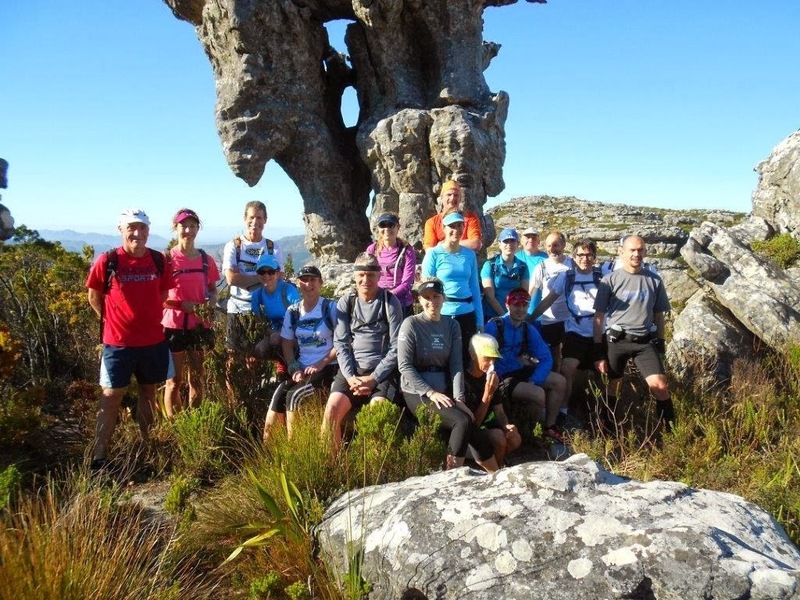 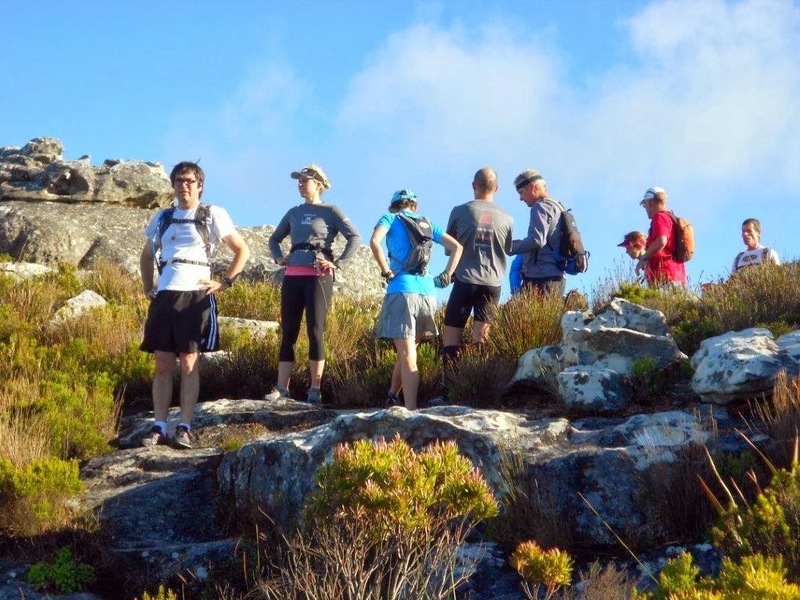 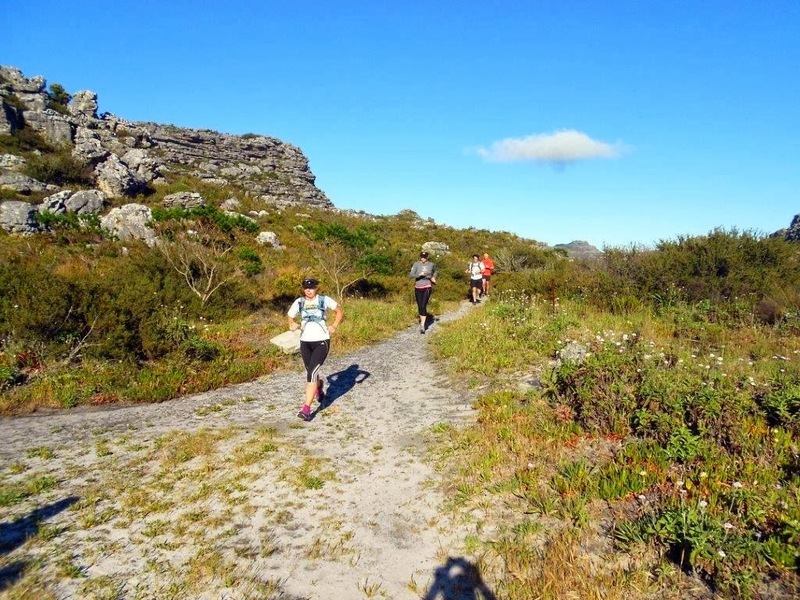 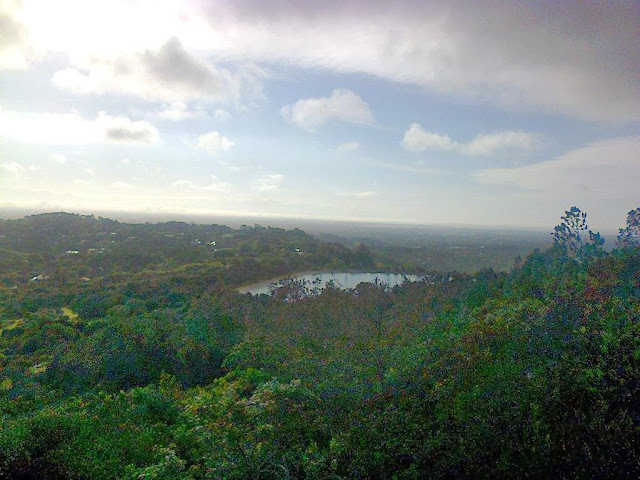 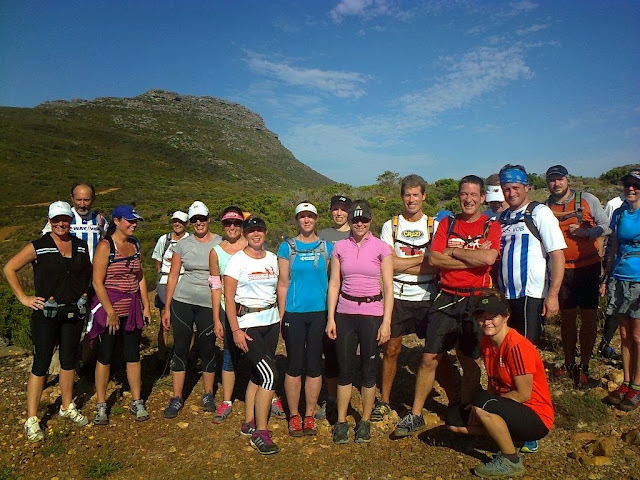 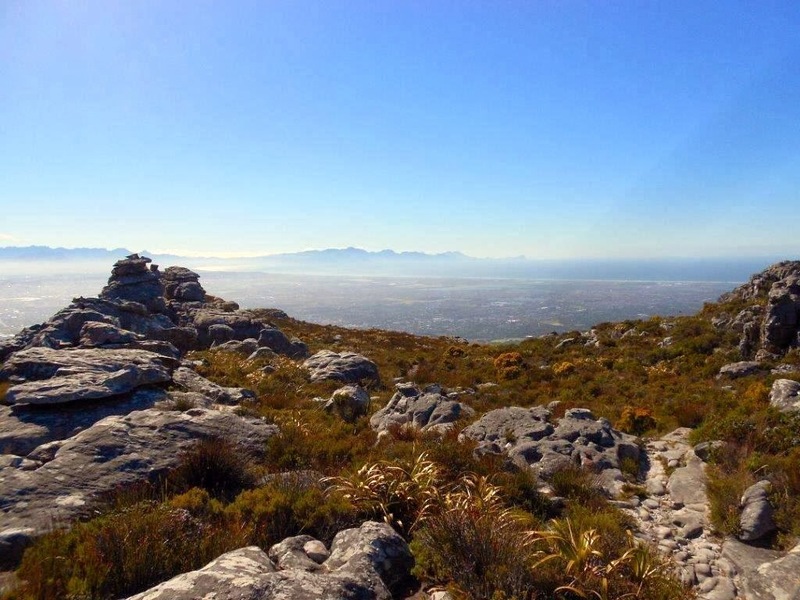 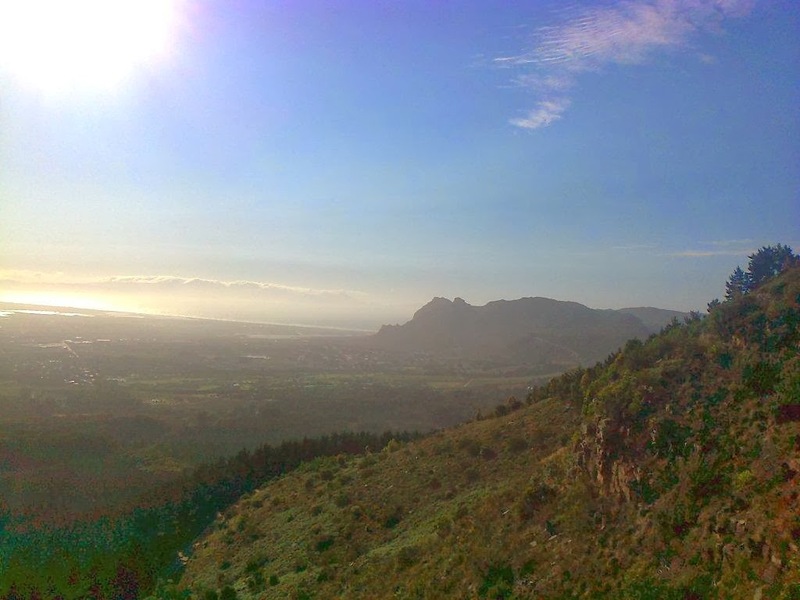 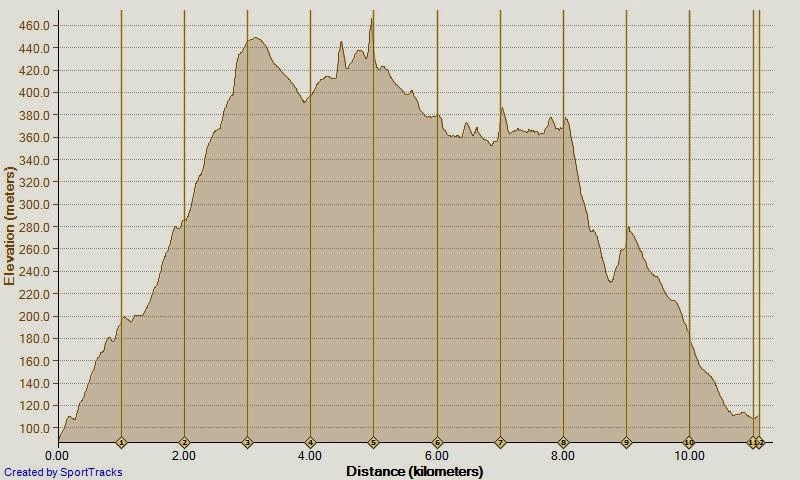 24 runners including 4 newbies, mustered in the Tokai Arboretum parking area on a bright early summer morning to try out a new route discovered by Sandy. 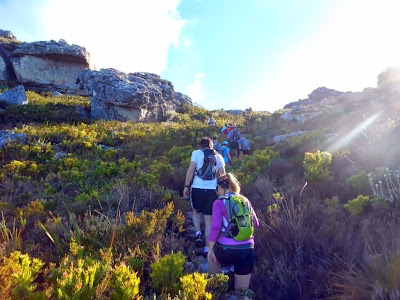 Julian led out the Main hroup which was followed by the Recovery group for the slog up the Elephant's eye footpath to level 5 1/2. 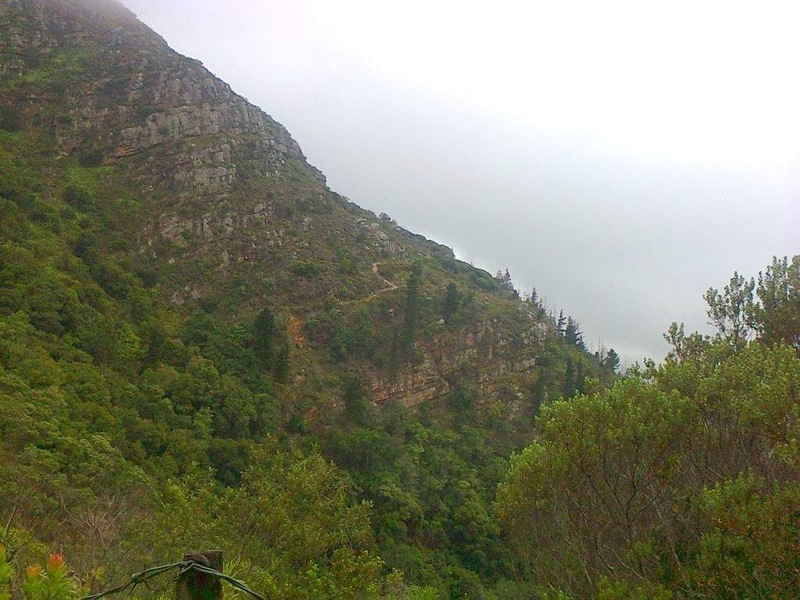 Here we turned right onto the trail which led across the slopes of Constantiaberg to Vlakkenberg. 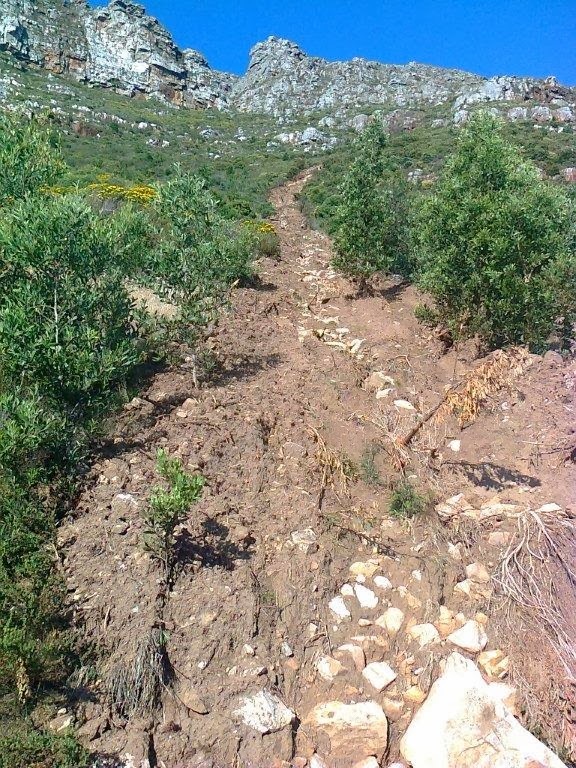 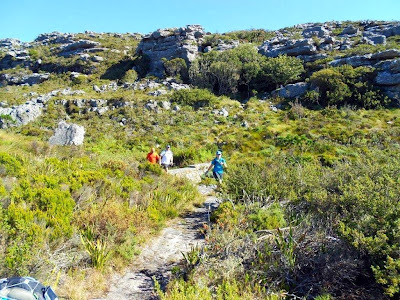 This proved to be an interesting and spectacular narrow and somewhat overgrown mountain trail with one of two "scary bits" for those who are not keen on heights. Consensus was that this was a good route which we should add to our list for future sorties. 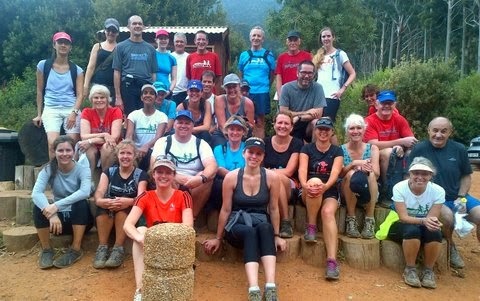 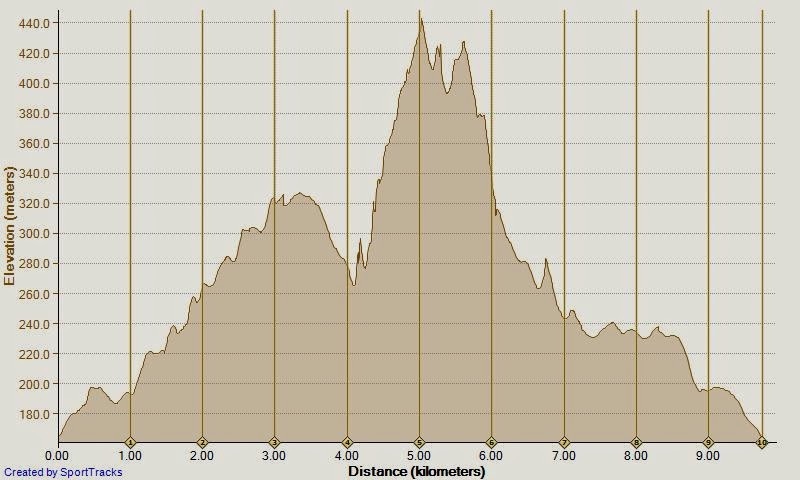 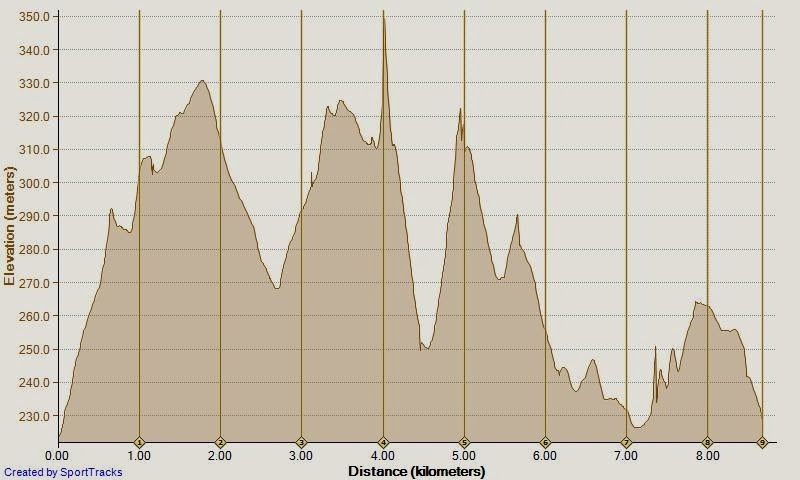 32 turned out for the planned run to the Blockhouse round the corner and over the saddle and down Newlands Ravine. 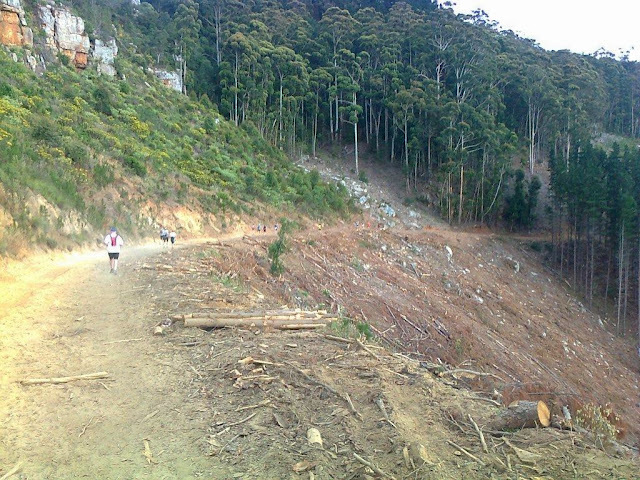 But as we got out into the exposed sections the wind made running almost impossible. 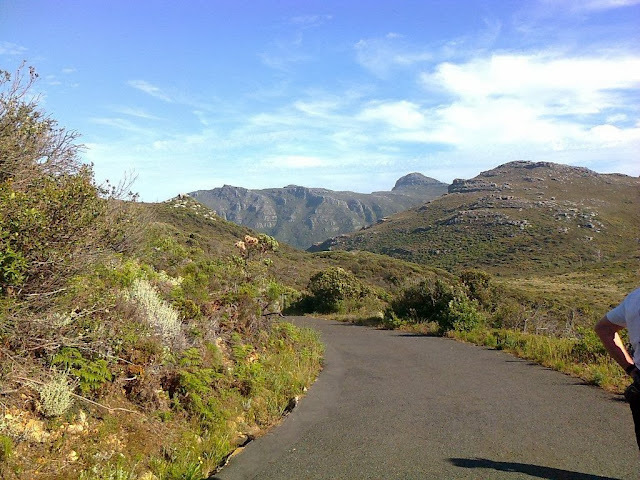 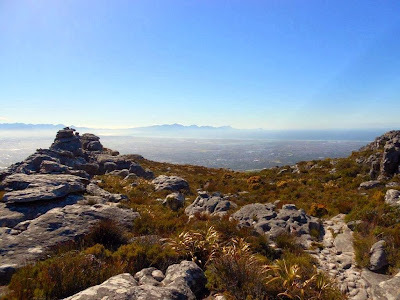 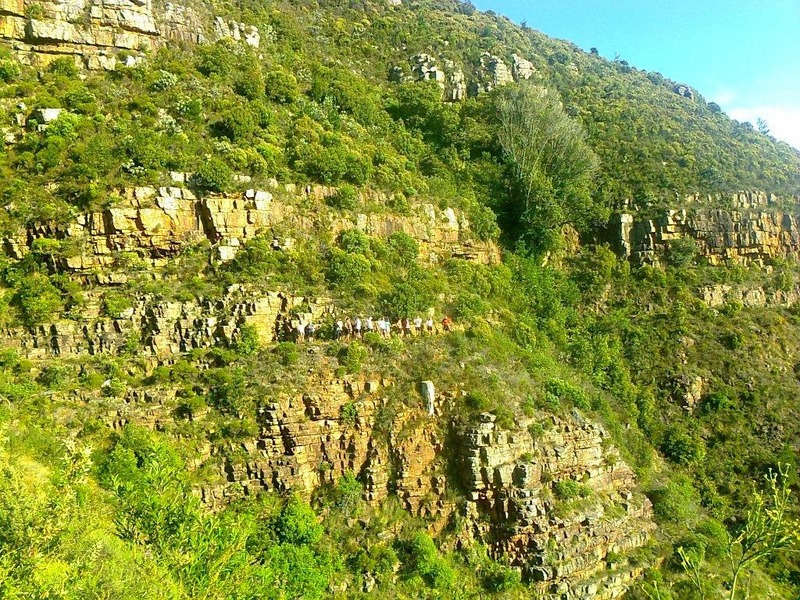 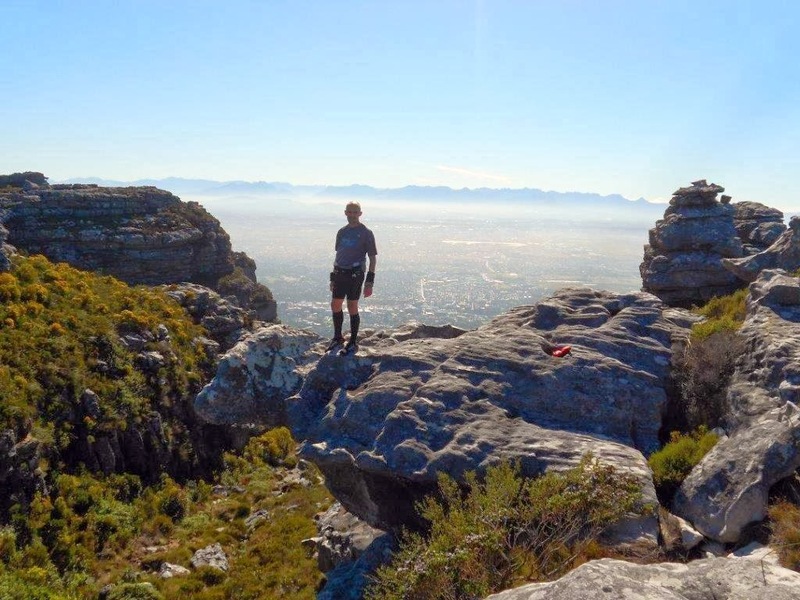 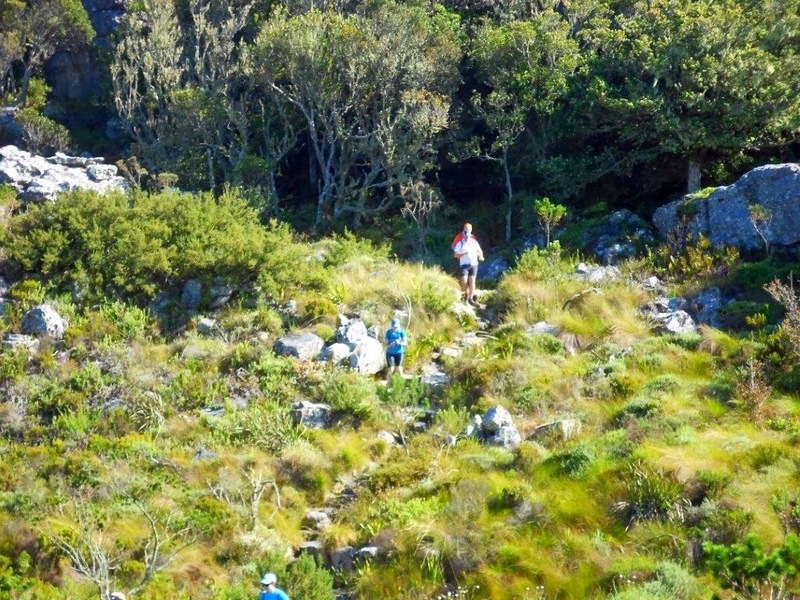 Geoff, the leader of the Main Group, decided to can the saddle ascent and they opted for a trot along the boardwalks and contour path to Kirstenbosch. Along the way the ran into Tim's Longer Faster Group who were about to ascend Dark Gorge. 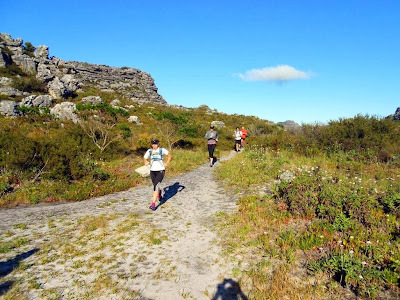 Congratulations to Felicity who completed her 50th sortie today and Sandy for finally making her long awaited come-back to trail running and who completed her 30th sortie. 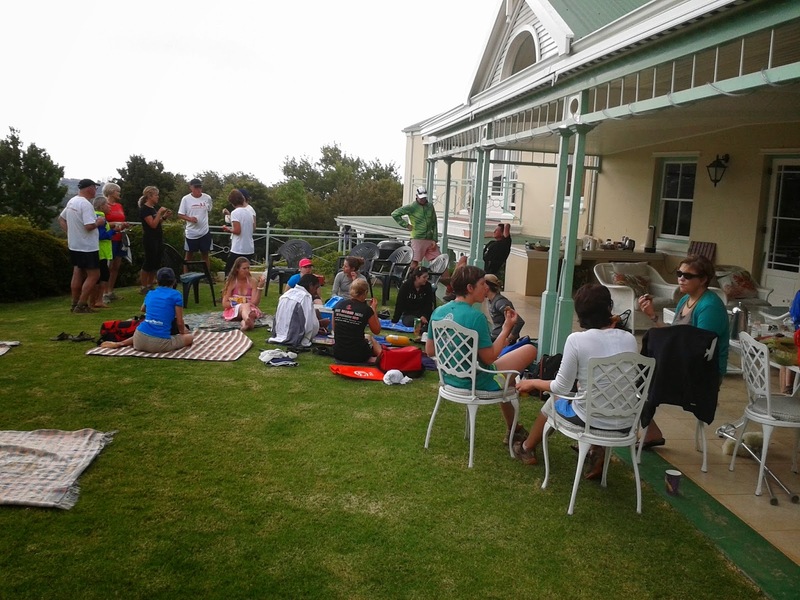 Thanks to Geoff for organizing today's sortie. 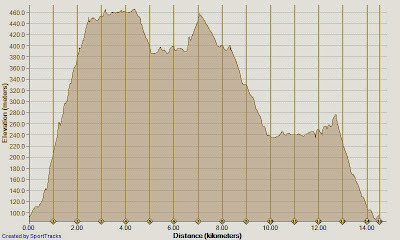 Well, today was 'interesting' in the proverbial Chinese sense of the word. Gregg was a fantastic leader and worked out a brilliant route for us which covered 12 or 13 or maybe even 14 kms (depending whose GPS we looked at) although I teased him dreadfully about his rating of 'not bad' exposure to heights. I struggled! One other lady (newish to the group) was in tears. 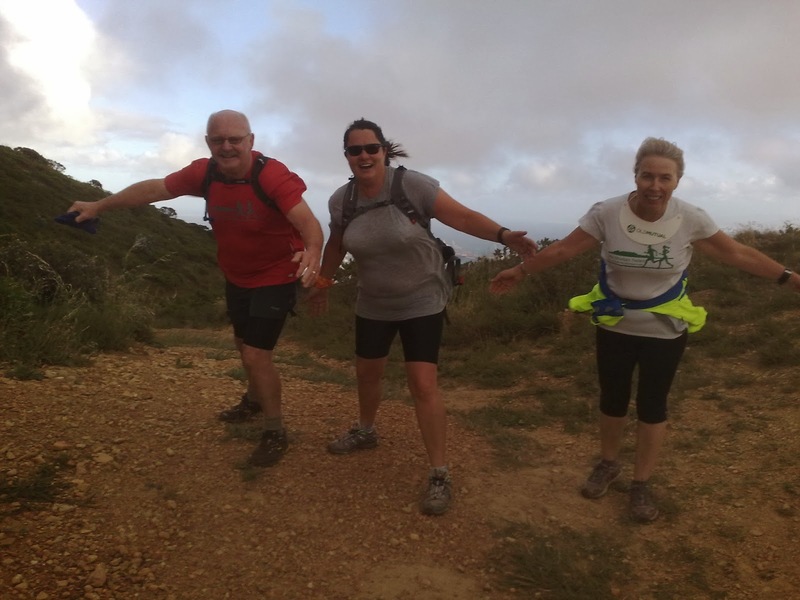 Nicole Meyer, Thomas Andrews and Piero Granelli made up a fabulous suppor team for us though and we both eventually managed to overcome our fears. 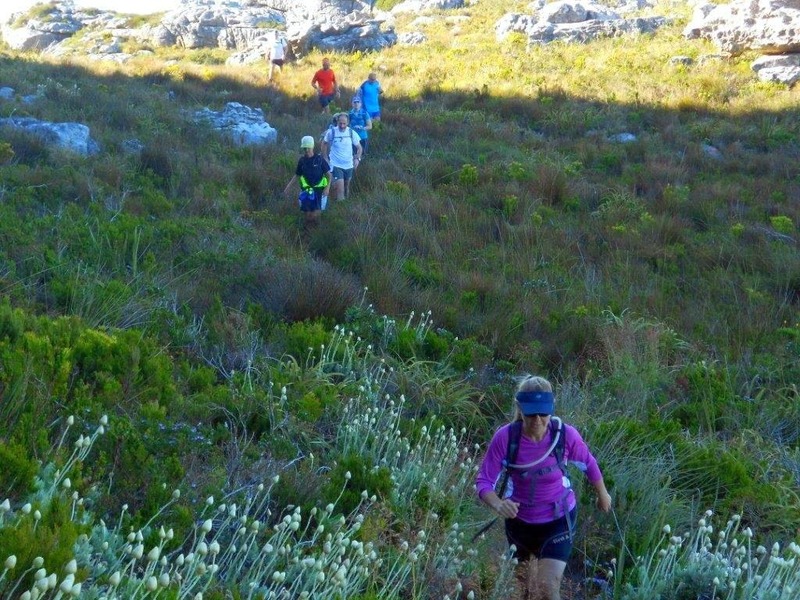 I was amazed at Randolph's tenacity and physical ability too - well worth a mention. 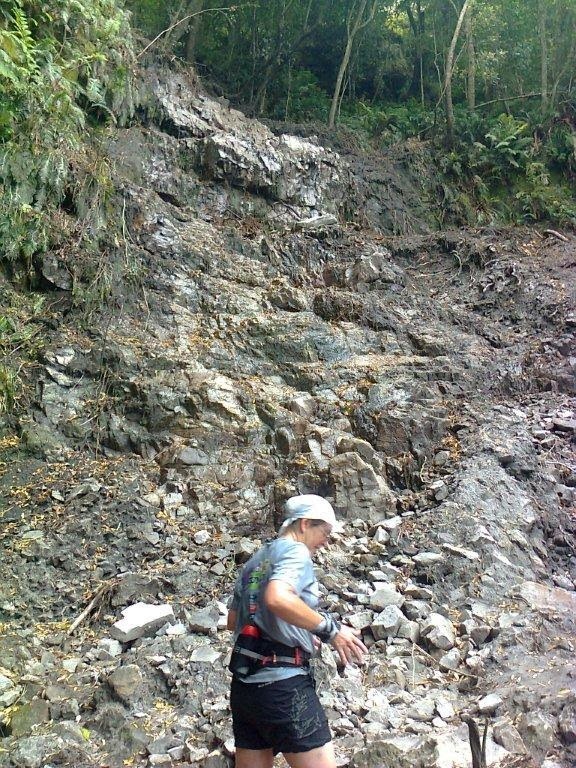 He hung at the back but was amazing on the steep scrambles. I think he must have a stash of Kryptonite at home.